← Grease Rag NE – Tuesday, April 10th! Some of you know I’m a pretty crafty person–Martha Stewart on a bicycle but with fewer tussles with the legal system (and my my standards, nicer hair and clothes). 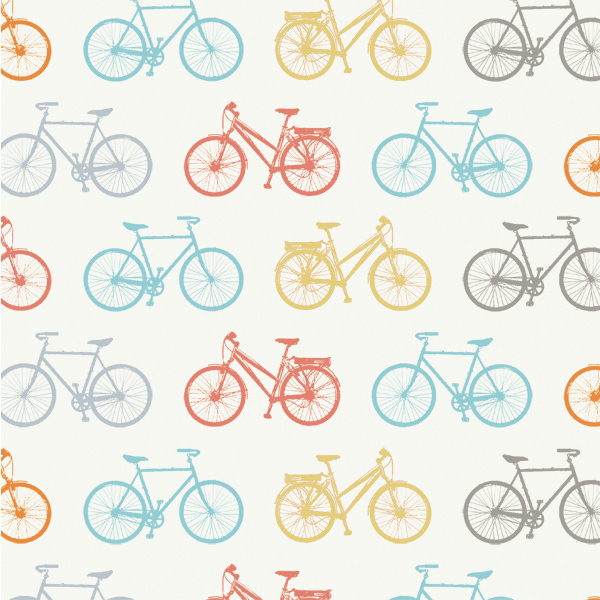 I will tell you this: cute fabric with bicycles is hard to come by. So when I saw this design by Birch Fabrics, I had to share. It’s part of a line called “Commute.” I will be buying some of the bicycle-themed patterns (the airplane doesn’t fit into my idea of a responsible daily commute, but the streetcar does) and I’ll let you know what I come up with. But that will be a while, since there are some projects in my back-log to finish first. Coming eventually: more info on craft-based activism, or “craftivism.” There’s a long way between cute bike fabric and craftivism, but it’s a pretty rad movement and I encourage you to check it out instead of waiting for me to finish that post, since it’s been a long time in the making already. Short version: badass people using traditional artsy-craftsy things to make political and social statements. ooohhhh! They carry these prints at crafty planet in Northeast Mpls! (also Treadle Goods in St. Paul) Thanks for posting this! Laura, On my ride last saturday Isaw a lady biker who was wearing a tee shirt with a bicycle on the front of the shirt. It looked so cool. I just remember what I saw when I saw your post. There’s also really cute bike fabric (different pattern) available in a couple of colorways at Sewtropolis, which was on Diamond Lake Rd and is now at 4755 Chicago Ave S.